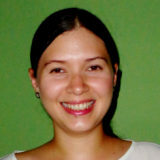 Andrea works as a Researcher at the recently formed Interdisciplinary Institute of Natural Sciences at the University of Central America, Managua, Nicaragua. In this position, she conducts research related to forestry, ecosystem health, and non-timber forest products, as well as teaches as part of the Faculty of Science, Technology, and Environment. In 2017, she launched a Forum on Forests and Sustainable Forest Management, part of a lecture series to create a continuous conversation on forestry-related topics.